Home Trendy News Security officials say they’re overwhelmed by the recent influx of migrants. Nielsen authorized “emergency surge” operations this week as U.S. Customs and Border Protection officers were diverted from posts processing legal travelers to helping manage the record influx of migrant families applying for asylum. 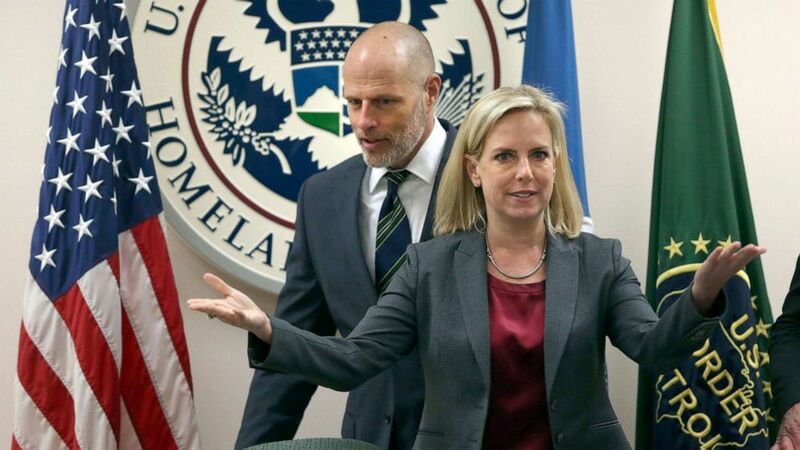 “I want to be clear with the American people: There is an unprecedented emergency at the southern border, and DHS is leading a true government-wide emergency response,” Nielsen said Tuesday. Additionally, Nielsen announced Monday the expansion of the Trump administration’s “remain in Mexico” policy. Editor’s Note: An earlier version of this story said Nielsen would meet with officials in Arizona on Wednesday. She was in El Paso, Texas, on Wednesday, and is scheduled to be in Arizona today. The story reflects this change.